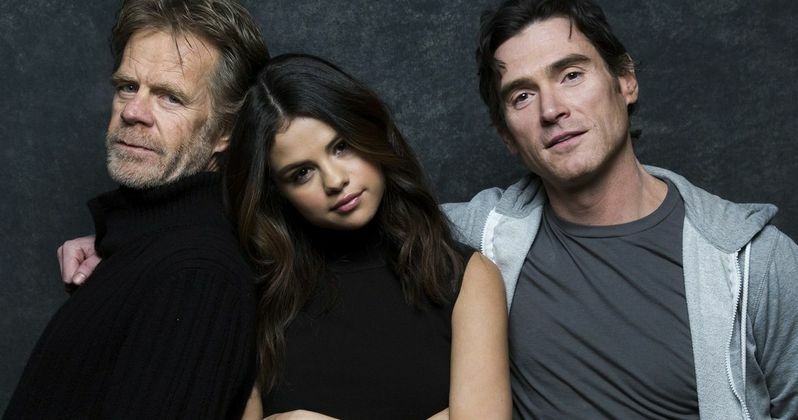 William H. Macy makes his directorial debut with the new drama Rudderless, which is in theaters starting today, and is also available on Digital HD and VOD. We have an exclusive featurette that finds stars Billy Crudup and Felicity Huffman discussing their work with the actor as he jumps behind the camera for this compelling tale. Billy Crudup plays Sam, a former high-profile advertising executive whose life is torn apart by the sudden death of his son. Living off the grid on a docked sailboat, he wastes away his days while drowning his pain in alcohol. When Sam discovers a box filled with his son's demo tapes and lyrics, his own child's musical talent is a revelation for him, a grieving father who felt he'd been absent from his son's life. Communing with his deceased son's dashed dreams, Sam learns each song and eventually musters the will to perform one at a local bar. When Quentin (Anton Yelchin), a young musician in the audience, is captivated by the song, the unlikely duo forms a rock band that becomes surprisingly popular and revitalizes both of their lives. Rudderless had its world premiere as the Closing Night Film at the 2014 Sundance Film Festival. The film features an outstanding cast that also includes Selena Gomez, Kate Micucci, Jamie Chung and Laurence Fishburne. Check our exclusive video, which brings new insight into William H. Macy's life as an artist behind the camera.